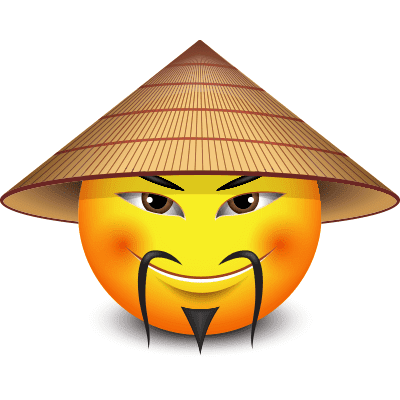 This hip Asian smiley will add a fun element to your next post. We have lots of expressive smileys that can even convey ancestry. If you're heading to karate class or enjoying a plate of Chicken Katsu, feel free to add this cool smiley to your post and tell your friends what you're up to.